2017 signaled a new level of commitment to building more affordable homes and stronger communities. Our programs served more families, built and repaired more homes, engaged more volunteers, and sold more goods in the ReStore than ever before in our 33 year history! Together, we have provided shelter, safety and peace of mind for families in need and strengthened the communities where we live. Our success leaves us extremely motivated to keep earning your trust and support to create sustainable futures for families. Morris Habitat for Humanity has responded to the urgent need for affordable housing with a simple mantra, “Build it Now!” In 2016, we helped 38 families with our building and home repair programs. We are proud of the impact our programs have had on the community. We are grateful for the thousands of volunteers and donors who have made the dream of homeownership possible for so many families. And, with your help, we look forward to helping even more families build strength, security and self-reliance in the years to come. Since Morris Habitat’s founding in 1985, our organization has expanded and thrived, but one constant has remained: our commitment to helping families and individuals in need. Over three decades, we have built, repaired and rehabilitated homes for more than 330 families – with no foreclosures! Our volunteer site visits totaled more than 75,000, with over 500,000 hours worked. In September, we unveiled a strategic plan to construct and preserve 200 homes over the next four years. While we know this is ambitious, we also know that, with your help, it is attainable. Together with you, we pushed boundaries in 2014 to reinforce our vision: A world where everyone has a decent place to live. Our successes are your successes, and 2014 was an exciting, productive year for Morris Habitat for Humanity. We adopted a new 4-year strategic plan; we had 15 homes in various stages of construction; we completed 5 of those homes along with 10 home repair projects; the ReStore posted another strong year, enabling us to partner with more families and build more homes; volunteers donated more than 71,000 hours of their time and talent; and, for the fourth consecutive year, Morris Habitat received the highest rating from Charity Navigator, the nation’s largest charity evaluator. The foundation of a house is its support; a strong foundation means a safe, sturdy home. In 2013, Morris Habitat focused on building and strengthening those foundations, increasing ties with our donors, volunteers, donor outreach and community partnerships. That support allowed us to have 14 homes under construction in eight locations, complete 4 homes, preserve 5 homes, and plan for 9 new homes in 2014. The ReStore, our retail operation, posted its most profitable year as we continued to see the benefits of our 2012 move to a larger location. 2012 was a year of Morris Habitat on the move…literally! We moved our operations and ReStore from Mine Hill to 274 South Salem Street in Randolph. At the same time, our building program moved forward with 20 homes under construction and we launched our NRI program preserving 6 homes. More than 7,000 volunteers were trained and recognized and 28 building projects were planned for 2013 and 2014. In 2011, Morris Habitat for Humanity served 17 families through home ownership opportunities, home preservation and international home building programs. Since its founding in 1985, Morris Habitat has helped 254 families break the cycle of poverty and improve their lives. Long-term, generational change begins with a decent home. We accomplish our vision through our new homebuilding, critical home repair and Neighborhood Revitalization programs, all powered by incredible volunteers. Dedicated to building decent, affordable housing with low-income families. In 2010, Morris Habitat for Humanity served 20 families through home ownership opportunities, home preservation and international home building programs. Every day Morris Habitat transforms many different lives. By staying productive and innovative, Morris Habitat helps low-income, hardworking families achieve the American dream of homeownership. Our volunteers deepen their commitment as they see the tangible improvements in families and community, all brought about by their contributions of time and talent. Donors become partners and champions as they see how Morris Habitat can leverage financial donations to do even more for those in need. Morris Habitat builds hope, community, and partnerships while building homes for families in need! Our Vision: For five years between 2005-2009, Morris Habitat will work to serve an additional 55 families, through building 30 new homes and preserving 25 homes, and increase its fund raising efforts by raising an additional $3M. These goals will be attained through focusing our efforts on the following planning themes: community building and sustainability, financial stability, advocacy, organizational effectiveness. Building upon previous years’ accomplishments, 2008 was another year of substantial growth. 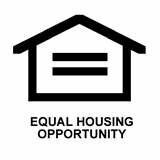 We are challenged to help close the affordable housing gap. Our goals for 2009 are to sustain our building program through increased partnerships, collaborations and friend-raising activities. In addition, we will undertake advocacy programs to increase the awareness of the desperate need for affordable housing in Morris County.